SURRY — Blue Hill Heritage Trust will hold its first Surry Forest 5K/10K Trail Race, 11 a.m.-1 p.m. Sunday, Sept. 9, in Surry Forest, Chestnut Lane, off the Toddy Pond Road. The race will be held on dirt roads and also include a kid’s 1-mile fun run. Start times will vary depending on the length of race, but runners should be prepared to be at the starting line at 11 a.m. The online pre-registration cost for the race is $25-35 for adults and includes lunch after the race. Online registration closes on Sept. 7, two days before race day. Race day registration opens at 9 a.m. at Surry Forest. Walkers are welcome to register for the 5K and will start with the 10K runners. Families registering one or more runners/walkers can register additional children under the age of 15 for $1 for the 1-mile fun run and 5K. For information or to pre-register online, visit bluehillheritagetrust.org. 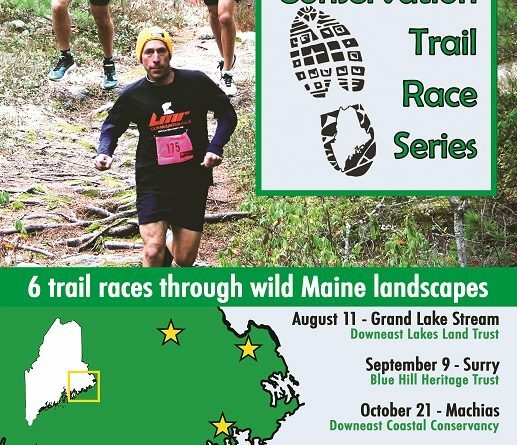 This race is a part of the Downeast Conservation Trail Race Series, a series of six races hosted by organizations working to preserve Down East Maine’s natural environment. The races run from Saturday, Aug. 11-Sunday, Nov. 11, and are hosted on community supported nature and wildlife preserves across Down East Maine from Orland to Baring. The series circuit offers a chance for runners to test their ability on over 45 miles of track through varied terrain and wild Maine landscapes. To learn more about other races in this series visit www.downeastconservationraces.org. Blue Hill Heritage Trust is a nonprofit community-based land trust, located in Blue Hill, and serving the seven towns of the Blue Hill Peninsula.